There are a couple of things I want to mention this week — the first is tomorrow, Veterans Day. Thank you, men and women in uniform past and present, for defending our beloved country. Certainly there are plenty of things wrong with the United States — but unlike what goes on in other nations in the world, we are free to voice our displeasure and to take steps to do something about it without fear of losing our lives or liberties. Please take a moment tomorrow to pray for our Armed Forces, who are fighting to secure our freedom. And if you see a veteran on the streets, take some time to thank this individual. Without our brave men and women in uniform, we would be in a serious world of hurt. I also want to extend a “thank you” to the brave forces defending Israel which, in my opinion, seems to be the world’s whipping post these days. Also along the lines of bullying, I want to send kudos to Jacob Wisch, an Ann and Nate Levine student who will soon celebrate his bar mitzvah. Jacob’s story is on page B6 of this issue, and though I don’t typically focus on individuals on “the other side” of SH 360, this is an important enough topic to cross “Metroplex lines,” so to speak. At any rate, Jacob has launched a website, standuptoday.net/wordpress (the site already has one of his very well-written poems about bullying). Please visit it and sign the anti-bullying pledge. The former spiritual leader of Congregation Ahavath Sholom will be honored with the State of Israel Bonds Freedom Award on Saturday, Nov. 19 for his 12 years of outstanding service to the Permian Basin as rabbi at Temple Beth El, Midland/Odessa, and to the state of Israel. Zimelman has a long and colorful history — he was born in Poland and lived in Canada and Maine before entering a yeshiva in Brooklyn. 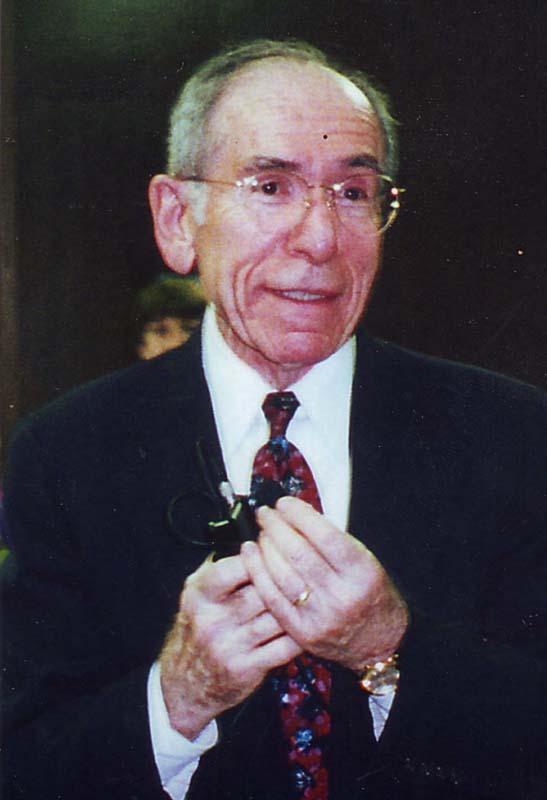 In addition to receiving a bachelor’s degree from Yeshiva University and receiving his ordination and Doctor of Divinity at the Jewish Theological Society of America, Zimelman served his country as a chaplain in the United States Air Force base in Japan during the Vietnam years. Zimelman came to Texas after serving as rabbi at Congregation Agudat Achim (Schenectady, N.Y.) and Congregation Adath Israel (Cincinnati, Ohio). After retiring from CAS in the late 1990s, Zimelman ended up at Temple Beth El, though lives in the Overton Park area of Fort Worth. He is married to Vivian, is the father of Elana, Robin, Shari and Alyssa and has 10 grandchildren. If you’re interested in attending the dinner, which starts at 7:30 p.m., the cost is $50 per person and an RSVP is required. For more information, contact Karen Garfield at the State of Israel Bonds Texas Headquarters at 972-661-9191 or 800-877-4991. On Friday, Nov. 11, Chabad of Arlington’s TGI Shabbat will have a distinct Hawaiian theme, beginning with services at 6:40 p.m. and Kiddush and dinner following at 7 p.m. The address is 2136 Linblad Court in Arlington. 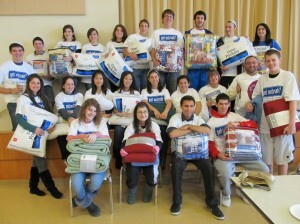 If you can’t make this week’s TGI Shabbat, don’t stress — they’re taking place in 2012 on Jan. 20, March 23 and May 18. Sponsorship opportunities are available and hosts are welcome. These events are free of charge, though donations are more than welcome. I’ve attended a few of these TGI Shabbats in Plano and they are a lot of fun. It also means a night off from cooking! Whether you’re new in the community or want to connect with old friends (or meet new ones), these events are the way to go. Questions? Call Chabad of Arlington at 817-451-1171. On Nov. 13, 2011, Jews around the world will join together in their communities, homes and online to celebrate their heritage through the Global Day of Jewish Learning. Jews in Tarrant County will have the opportunity to participate beginning at 10:30 a.m. at the Jewish Federation of Fort Worth and Tarrant County, 4049 Kingsridge Rd. Bring your Bibles, Tanachs and Chumashim; the search will be on for angels, giants and nephilim — who they were, who sent them and their meanings. Need more information? Contact Barbara Rubin at Barbara@rubin.net or Dr. Arnold Barkman at a.barkman@tcu.edu. 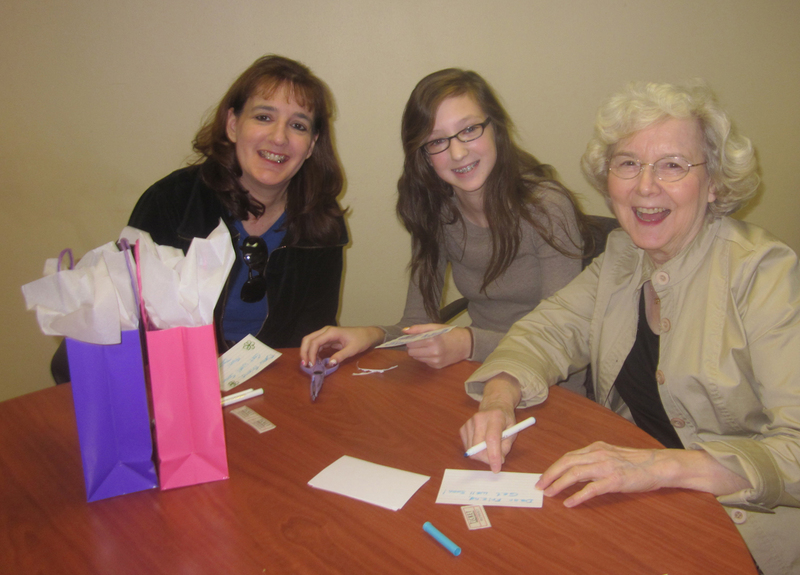 The Ladies Auxiliary at Congregation Ahavath Sholom is sponsoring its sixth annual Fall Community Gift and Jewelry Bazaar from 10 a.m. to 3 p.m., Sunday, Nov. 20 at CAS, 4050 S. Hulen in Fort Worth. Vendors from throughout the region will be present including Cookie Lee Jewelry, Funshine Music and Prints, Jewelry by Nelly, Barbara Lefer Afghans and author Beverly Malone. National brands will also be represented: Avon, Mary Kay and Scentsy. Proceeds from the bazaar benefit CAS, so you’re doing two nice things when you support vendors at this event. 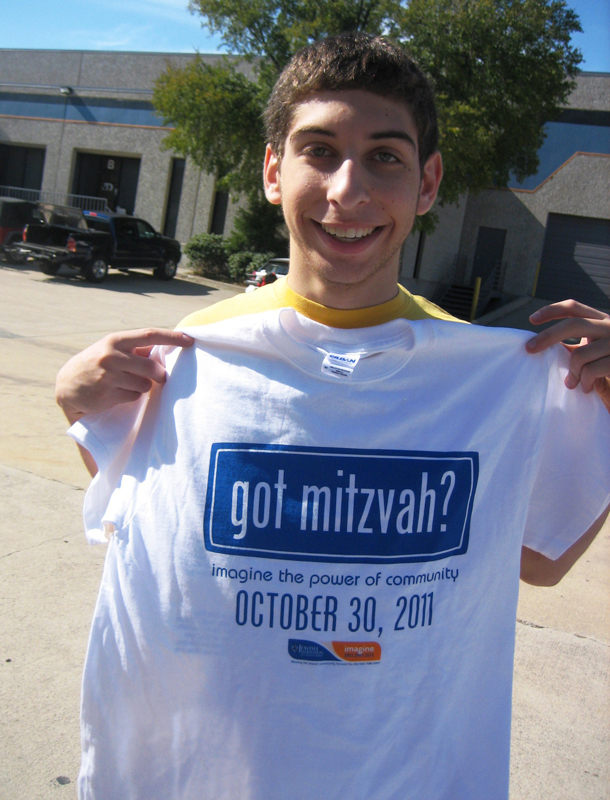 Time is running out if you want to get your changes into the B’nai B’rith Community Directory of Tarrant County. The Isadore Garsek Lodge of B’nai B’rith is in its last stages of editing this directory, so NOW is the time to make any changes. Get them in to Alex Nason by Nov. 23. Contact him at 817-346-3991 or alexnason@charter.net. What do Israel, bikers and at-risk-youth have in common? It might surprise you — Hadassah. 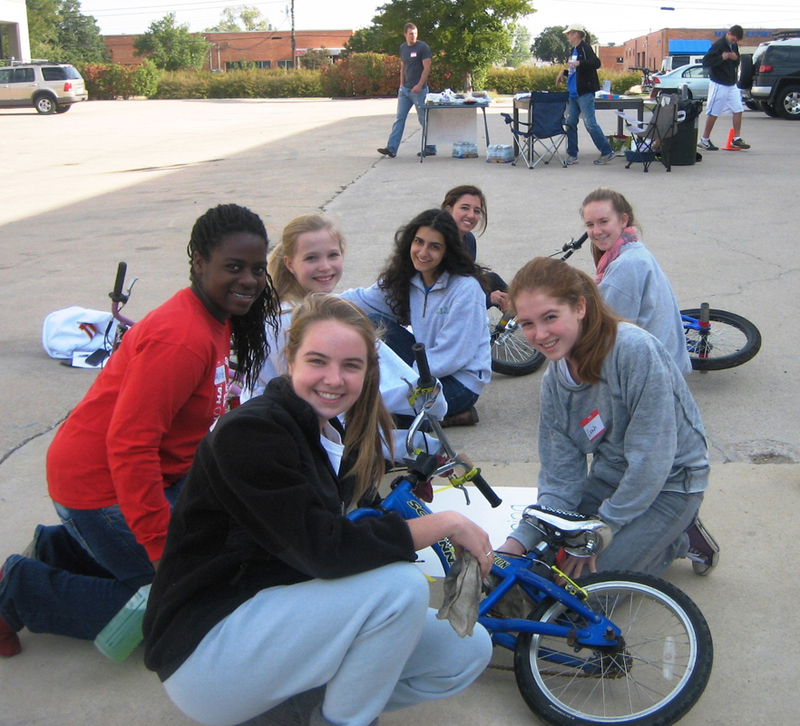 On Sunday, Oct. 23 Dallas Chapter of Hadassah organized the first ever local Jewish motorcycle rally to bring awareness to three causes — Israel, Hadassah and at-risk-youth. 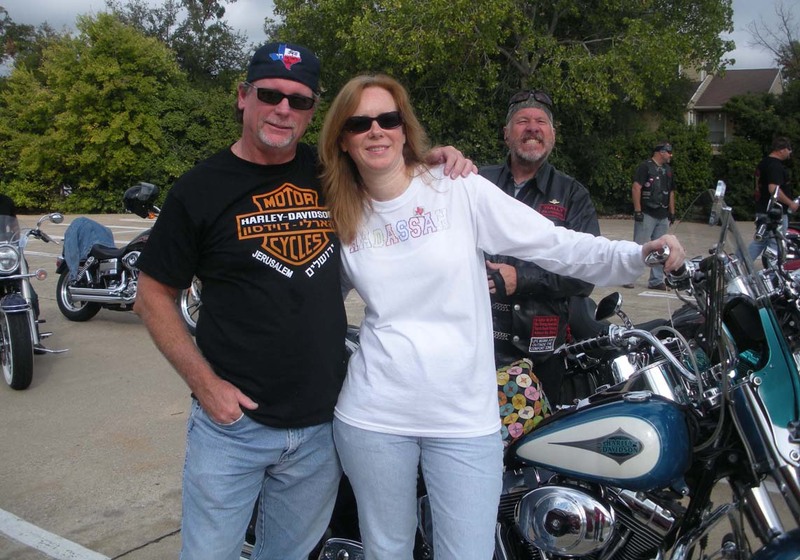 The rally was sponsored by a local motorcycle club, Iron Guardians, and brought out 13 motorcycle riders who took a three hour scenic Texas ride. Members of Chai’s of Texas also participated in the rally. Ride for Israel, Ride for Hadassah and Ride for Youth Motorcycle Rally brought a diverse group supporting many causes. Sheldon Schepps, a Harley rider and the chair of the event, mentors youth on the edge of making wrong life decisions, hoping to prevent them from learning an even harder lesson in prison. Schepps worked with his wife, Terri, president of the Dallas Chapter of Hadassah and their daughter, Hannah, local chair of Hadassah’s Youth Aliyah, to come up with a way to mix his love for motorcycles, passion for Israel and support for Hadassah while bringing awareness to a local issue near and dear to his heart, at-risk-youth. Judah Epstein and Ron Reiner, members of Chai’s of Texas assisted in organizing and planning the event. Iron Guardians Motorcycle Club http://www.ironguardians.com/ sponsored the event with dollars and riders. Their organizational mission is to purposely reach and change the lives of at-risk-youth in North Texas. They provide drug and impact programs for youth in Denton and Wise County as well as with the Texas Youth Commission. Iron Guardians is an invitation only motorcycle club. 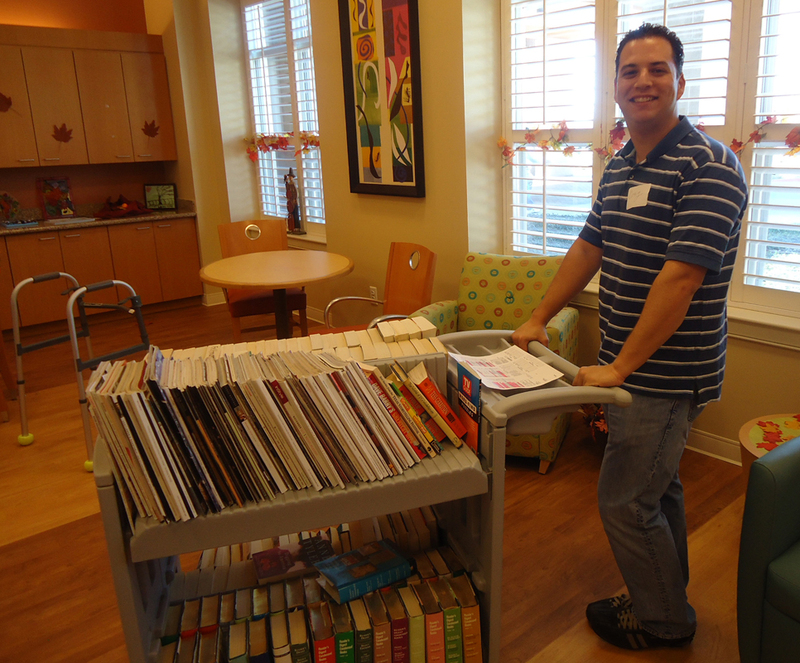 The Dallas Chapter of Hadassah has been looking to host more events for men to become more directly involved with Hadassah. The motorcycle event proved to be just that, bringing out men of all ages and all backgrounds. The ride was free, but donations were requested. They collected items such as shampoo, deodorant, toothpaste and more for the Texas Youth Commission Dallas Parole office, where juveniles previously incarcerated are trying to make a new life for themselves. Money was also collected to support Hadassah’s organization. 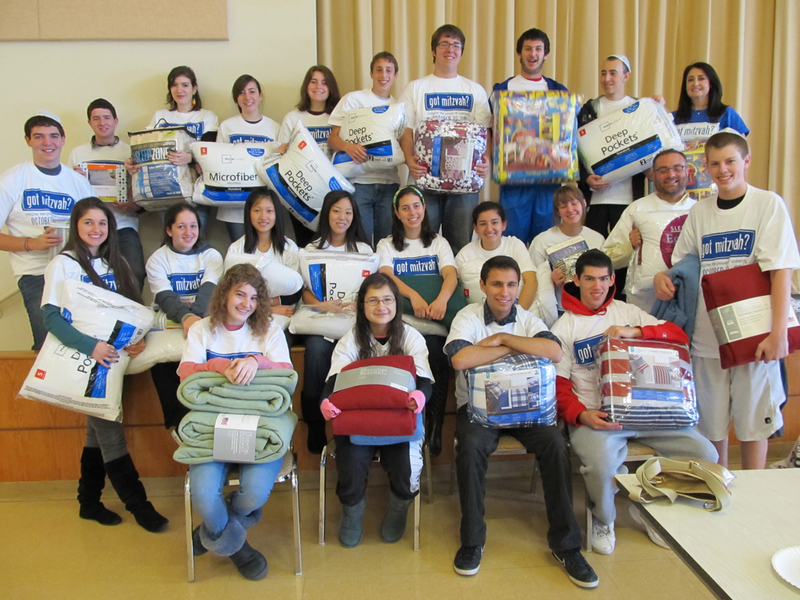 Hadassah, known for their hospitals and research in Israel, also provides an at-risk-youth program, Youth Aliyah. Youth Aliyah is a child rescue program that Hadassah helped to create in 1934 when Henrietta Szold assisted Recha Freier in rescuing tens of thousand of children from war-torn Eastern Europe. At the beginning, the youth were settled in agricultural villages and helped to build the fledgling country that would become Israel. Today the job of Youth Aliyah is to help, educate and nurture the children of the Ethiopian and Russian migrations as well as the Israeli children who are part of the over 300,000 youth living on the streets, doing drugs, drinking and doomed to a life that goes nowhere. The next motorcycle rally is already in the works. If you are a motorcycle rider or have an interest, send your name and e-mail to chapter.dallas@hadassah.org. Donations are still being accepted to purchase items for Texas Youth Commission and Hadassah. The J Book Fair is in full swing with authors scheduled to visit between now and late April, 2012. 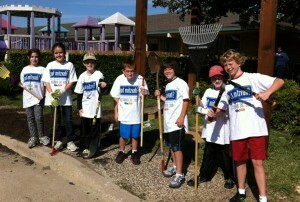 Be sure to check out www.jccdallas.org for specific details, schedules and events. The books and authors showcased during this period are certainly varied and we know that many people will choose to attend a particular author’s event based on interest in that author or the subject he/she covers in the books that are written. But with this year’s book fair, why not try a different approach? Why not try coming to any events and/or talks you can? You may be surprised at what you learn, or what you find out about an author or a topic. I’ve said it before: Jews are “People of the Book” — and, as such, we value learning. There is much to be learned from reading. There is also much to be learned from listening to an author talk about the story behind his/her published story. Please plan to attend this session — everyone has a story to tell, and even if it isn’t your destiny (or even your desire) to be a famous author, there is likely someone out there waiting to hear your story. In addition to being “People of the Book,” Jews are certainly “People of the Story” — we’ve been telling stories for thousands of years, passing along anecdotes and tales from generation to generation. Your own story may be a journey or a moment in time or a family recipe — don’t lose your story so you must pass it on. In the many adult Jewish education classes at the J, we learn about how the ancient sages and rabbis interpreted the words of Torah to help guide their lives at specific points in time. These wise men knew how to use those interpretations, and those stories, to help people learn. We must challenge ourselves to continue the interpretation and the stories for today. For example, what can I learn about sibling rivalry from the story of Cain and Abel? As a parent, what might have I said to God if I were asked to sacrifice my child, as Abraham was asked to sacrifice Isaac? If I was Jacob, would I have tricked my father into giving me a birthright rather than bestowing it on my twin brother? Why or why not? Clearly, the reading and re-telling of stories creates many questions for thought. Doing so helps us continue to learn and grow as individuals and as a community. Keep reading, keep telling — and don’t be a stranger at this year’s J Book Fair. Laura Seymour is director of Jewish Life and Learning at the Aaron Family Jewish Community Center of Dallas. I was raised a Reform Jew. During the past couple of years, I’ve become more involved in Jewish learning and am concerned about my lack of observance. For example, I know the Torah forbids eating shellfish, but I’m not ready to give up eating shrimp. I’m afraid I might be punished by God because I know I’m not supposed to eat shrimp, but still do so. If I’m not intending, at the moment, to become more observant, is it better I don’t study so won’t be “liable” in heaven for what I know or don’t know? Or is it better for me to continue my studies even if I know I’m not ready to be more observant? As we shall see, your question was addressed by the Al-mighty Himself! Jeremiah the prophet says in the name of God: “ … And it shall be that when you tell all these things to this people, they will say to you, ‘Why has God spoken all this great evil against us? What is our iniquity, what is our transgression that we have transgressed before Hashem our God? Say to them: ‘It is because your forefathers have forsaken Me — the word of God — and they followed the gods of others; they worshiped them … but Me, they have forsaken; and My Torah they did not observe.’’ (Jeremiah 16:10-11). The sages note the seeming redundancy at the end of this verse; obviously if we forsook God we did not observe His Torah! According to the Talmud, the Al-Mighty meant to say, “Halevay (I only wish) that Myself they have forsaken (by not observing the mitzvot), but they continued to study My Torah, because the illumination within it (the Torah) would eventually bring them back to Me”. The Talmud states further, based upon another verse, that the Al-Mighty told the Jews “I’m willing to pardon you for the transgression of the three cardinal sins; murder, idol worship and forbidden relations, but your forsaking the study of Torah I can not forgive”, as the study of Torah is God’s final hope for the Jews’ connection to Him, (Jerusalem Talmud, Chagigah 1:7). As we see, the Al-Mighty Himself has proclaimed that, no matter how far a Jew is from observance, His desire is that each and every Jew should be involved in the study of Torah. 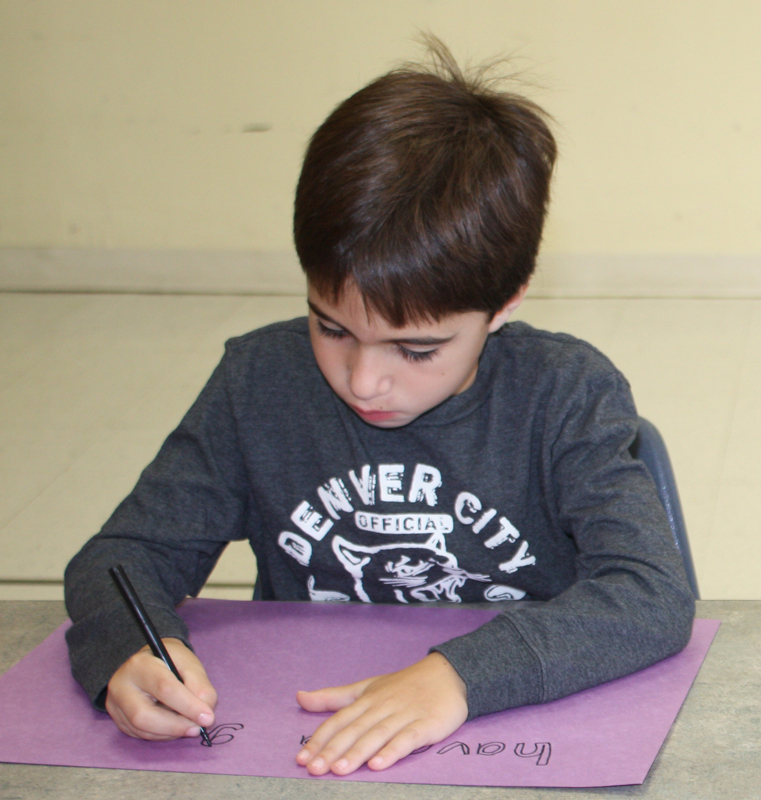 Torah study, more than the observance of any mitzvah, is the key to Jewish continuity. The Soviet officials learned this lesson from the Greeks and Romans of old who first enacted decrees to forbid the Jews from study, punishable by death. The miracle of Chanukah was the celebration of the Jews’ steadfast commitment to learning, the “light within the Torah” represented by the Menorah, which overcame the darkness of those decrees. Judaism, furthermore, does not believe that “what you don’t know doesn’t hurt you.” When we have the opportunity to learn and know, we are responsible for what we could and should have known even though we chose not to know. To choose to not study lest one learns something she is not willing, at this point, to observe is not a reason to refrain from study. On the contrary, besides not knowing that item, one then becomes liable for not studying! Now, getting back to your specific concern, you should not think you are worse off for knowing about shrimp and not refraining, (though I’m not condoning shrimp!) By virtue of the Torah study, you are no longer the same person you were before; you have taken a tremendous step ahead in your Jewish identity and connection with God. In the new space you inhabit, at least shrimp is an issue. Before you began your study, shrimp was not even a topic of concern! You should be proud of what you have achieved. Always look out for the next small, meaningful step that you can handle. All Jews, regardless of age, background or affiliation, need to continue climbing and growing throughout their lives to become stronger Jews and stronger human beings. As I was checking out Mitzvah Day events last Sunday, I had a chance to visit with Scott Janco who was working in the community garden at Tiferet Israel. Scott also happens to be the Co-Chair along with Stuart Roosth of the 2012 Chili-Cook-off, and he shared a number of exciting developments for the chili classic. For the first time in its 19 year history, the event will have title sponsors: Prescott Pailet Benefits Charitable Fund and Key-Whitman Eye Center. Also Diamond Kosher salt will be a sponsor says Scott, with all teams receiving a large box of kosher salt to cook with. Samples of the salt will also be passed out to those attending the event. Also, rather than having vendors set up in tents outdoors, they will move inside into the Katz Hall to allow for more outdoor events and contestants. This year, winners from the Austin and Houston chili cook-offs will be invited to participate in the Tiferet event which will be held March 18. There is a little chill in the air. I’ve already made my first batch of “red” for the season. They were out of my favorite Wick Fowler’s so I tried the D.L. Jardine’s Chili kit. The consensus at the Ray house was, that it was a winner! Personally, I’m still a fan of the Wick Fowler recipe. The PJ Library is off to a phenomenal start here in the Big D. One thousand Dallas families eagerly signed up in just one month to receive free Jewish children’s books as part of PJ’s international, award-winning literacy program that delivers Jewish heritage one book, one family at a time. To celebrate the program’s Dallas launch, The Center for Jewish Education of the Jewish Federation of Greater Dallas will welcome Diane W. Frankenstein, author of the book, “Reading Together: Everything You Need to Know to Raise a Child Who Loves to Read.” She will speak at the PJ Library kickoff event at the J from 3 to 5 p.m. If you like to visit art galleries, you might enjoy the International Biennale Artist Exhibition at LuminArte Gallery in the Design District. Three Jewish artists will be among the 40 artists that represent 16 countries. The opening reception is on Nov. 5, and the exhibit will hang through Dec. 10. Robin Antar is a Brooklyn-based sculptor of abstracts and Americana icons, such as M&M’s and York Peppermint Patties, which she permanently “freezes” in stone, often in marble or limestone, sometimes starting with slabs that weigh as much as 10,000 pounds. Her original works have sold for as much as $25,000 and can be found in several private collections throughout the world. Born in Israel in 1943, Elisha Ben-Yitzhak studied art at the Bezalel Art Academy in Jerusalem and at the Avni Art Institute in Tel Aviv under the guidance of master artists. Elisha moved to Milwaukee in 1985. His paintings have been exhibited in museums, galleries, art festivals and private art exhibits in numerous countries around the world including a group exhibit at the famed Tate Gallery in London. Elisha’s paintings have also appeared in numerous publications and electronic media. Born in Constance near the Black Sea and raised in Tel Aviv, Ted Barr was a former major in the Israeli military. Currently residing in New York City, he is now a successful artist with broad education in the area of astronomy, literature and history. He wrote three books including “Frau Gruber’s Farm” (2006), a thrilling allegory about German history, and the children’s book, “Krombee”. Corey Metz, CLU, has been named one of the National Association of Insurance and Financial Advisors’ (NAIFA) Four Under Forty. NAIFA comprises more than 600 state and local associations representing the interests of approximately 200,000 agents and their associates nationwide and advocates for a positive legislative and regulatory environment, enhances agents’ business and professional skills, and promotes the ethical conduct of its members. The annual honor recognizes four financial advisors 40 years and younger who know what it takes to build a thriving practice. 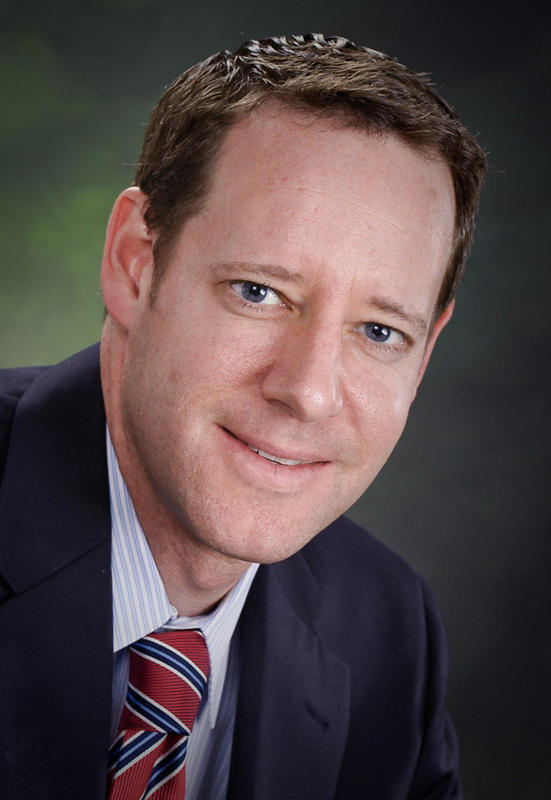 As an advisor for over 15 years, Corey serves the financial needs of families and businesses in the Dallas area. He has been recognized for his performance by the Million Dollar Round Table (MDRT). MDRT members demonstrate exceptional professional knowledge, strict ethical conduct and outstanding client service. MDRT membership is recognized internationally as the standard of sales excellence in the life insurance and financial services business a distinguishing life insurance career milestone. Corey is also a member of MDRT’s Top of the Table, an exclusive forum for the world’s most successful life insurance and financial services professionals and they have distinguished themselves by producing at a level six times that of MDRT membership requirements. Corey and his wife, Julie, are committed to the community and have supported local charities including the MS 150 bike ride, the Dallas Heart Ball, Zoo To Do, Make-a-Wish, AIPAC and AJC. He is also involved with their family charity at Temple Emanuel, which sends 9th and 10th graders to Washington, D.C. annually for educational and social justice efforts in support of Israel. Corey graduated from Tulane University in New Orleans with a degree in finance. He and his wife have two daughters, Olivia and Scarlett. At the 2011 annual Convention of the Sigma Alpha Mu fraternity in Phoenix, Marc E. Perlstein of Richardson was elected as Supreme Prior (International President). He succeeds Phillip I. Glauben of Dallas. Both men attended the University of North Texas in the mid-1970s and have served the fraternity in numerous local, regional and international volunteer capacities. 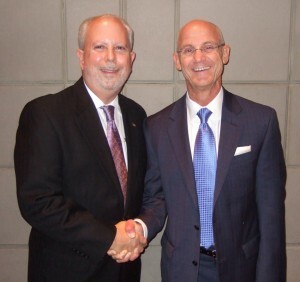 Sigma Alpha Mu Supreme Priors — Marc E. Perlstein, left, succeeds fellow Texan, Phillip I. Glauben, right. Sigma Alpha Mu was founded at the College of the City of New York in 1909 as a Fraternity of Jewish men. Today, the fraternity has undergraduate chapters on 51 campuses across North America and approximately 64,000 men initiated since founding. The holidays are over and we are back in our “routine.” Routines can vary from family to family, but should always involve keeping Judaism at the forefront. Do you have a “Jewish” routine? Does it include reciting daily blessings, attending weekly Shabbat services, ongoing conversations about Jewish ideas or reading Jewish books? We all express our Jewishness differently and Judaism fortunately has many entry points. For some, Judaism is expressed through at-home observances. For others, activities such as regular attendance at synagogue, volunteer work with Jewish organizations or playing basketball at the J is a profound way to experience the faith. There is no “right” way to practice Judaism, but Judaism is an “active” religion, requiring participation. There are many so-called “cardiac” Jews in that they feel their Jewishness in their hearts. It’s certainly important to “feel” it, but just as important to “do” it. A good example of the “hands-on” Jew is what I call “Gastronomic Jews.” These folks define their Jewishness through what they eat, and through all the holidays and traditions. One way for you to tie food to Judaism is to invest in the book “Tasty Bible Stories: A Menu of Tales and Matching Recipes” written by Tami Lehman-Wilzig. This is a children’s book with simple recipes and ideas. But it offers a great introduction to connecting food to a Jewish story. For example, in discussing Adam and Eve, prepare wonderful apple recipes from pie to baked apples. There is a recipe for lentil stew — perfect to tie with the story of Jacob. There are also recipes in this book that can work with discussions about Sarah and Abraham, who made hospitality an important part of their lives. There are lots more recipes and stories in this book. If you like cooking and eating, use your own recipes and be ready with a great story. These family meals and story times will become treasured memories that your children may grumble about today (aw, mom, not another story! ), but will be repeated to the next generation, along, perhaps, with family recipes. If you are really organized, you can write the next book! Laura Seymour is director of Jewish Life and Learning at Jewish Community Center of Dallas. Happy fall, everyone! It’s not “sweater weather” quite yet (though some mornings have been downright chilly) but at least those century mark days are over and done with for the year. I think I mentioned a couple of weeks back that my husband Dave, was to take over the helm at the Joshua Star, “our” hometown newspaper. However, the transition has been a bit trickier than anticipated, so yours truly has been asked to roll up her sleeves and help out. Given this, if I don’t get back to you immediately if you send an e-mail or if (heaven forbid!) I forget to mention your event in “Around the Town,” please accept my apologies. Don’t be afraid to keep nudging me. I WILL get to it. Things should settle down in early December. But do keep those e-mails coming at awsorter@yahoo.com. … takes place on Monday, Nov. 11 and will involve a discussion about the movie “Iranium,” which focuses on a threat of a nuclear Iran. Panelists discussing the movie will include John Bolton, former U.S. Ambassador to the United Nations; Richard Perle, resident fellow at the American Enterprise Institute, Alex Traimanis, a journalist and director of the documentary; Nazie Eftekhari, director for the Iran Democratic Union and Ethan Bronner, Jerusalem bureau chief for the New York Times. The broadcast will begin at 6:30 p.m. at Beth-El Congregation, 4900 Briarhaven Rd. in Fort Worth. Donations are $3. For more information, call Beth-El at 817-332-7141. Singer/guitarist/songwriter Doug Cotler will perform Friday, Nov. 4 at Congregation Beth-El following the service and dinner, both of which take place at 6 p.m. and 7 p.m. respectively. Cotler is known for his sensitive interpretation of prayers and insightful (and sometimes humorous) songs about Jewish events and heroes. This son of a cantor, and cantorial soloist (at Or Ami in Calabasas, Calif.) has recorded several albums and has performed with the likes of John Denver, Jerry Jeff Walker and Mason Williams. Cotler has also written a symphony titled “The Golem,” which was performed by the Seattle Philharmonic Orchestra. The event is free, but RSVP is required by calling 817-332-7141. 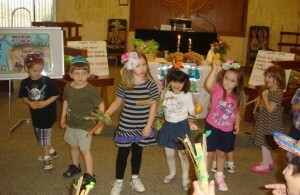 Students from the Lil Goldman Preschool entertained seniors in the Ahavath Sholom Chapel in observance of Sukkot. Hedy Collins writes us that the senior program has been quite busy. In recent weeks, area seniors shared Sukkot with the youngest generation; i.e., pre-school children from the Lil Goldman School in Fort Worth. Old and young gathered in the chapel at Congregation Ahavath Sholom for prayers and a program, both of which were led by Rabbi Andrew Bloom. Seniors and Lil Goldman preschoolers recited the brachot over the wine and challah. 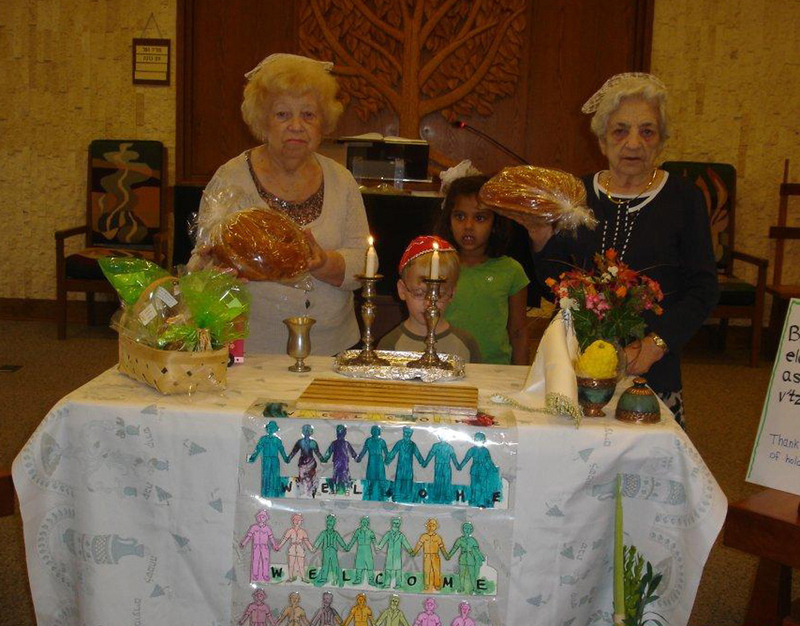 Seniors and tots eventually ended up in the outdoor Sukkot, where they dined on ice cream and challah. This sounded like a delightful (and tasty) event for all concerned. Upcoming events will include a trip to the Museum of Science and History and the annual B’nai B’rith-sponsored community wide senior luncheon, which is scheduled for Thursday, Nov. 17 at CAS. I’ll pass on more information about both of these programs as I receive it. Chana Tovah Mandel of Chabad of Fort Worth/Tarrant County touched base with me so she could tell Tarrant County women (and others in the region) about a marvelous upcoming event. It’s called Spa for the Soul and it will take place 10 a.m. to 12:30 p.m., Sunday, Nov. 13 at Daireds Spa Pangea at 2400 I-20 in Arlington. The program will feature mini-spa treatments by Daireds, a buffet brunch, workshops and a talk by Rivkie Block, rebbetzin at Chabad of Plano. Now, there are a lot of fun things involved with this event, not the least of which are those mini-spa treatments. Then there is the cost — $36 which, in my mind, is a pretty good deal. Additionally, I know Rivkie Block from my days at Chabad of Plano — she is a terrific speaker and a genuinely nice human being. So take a couple of hours to nourish your mind and spirit (and yes, depending on my kiddo’s basketball schedule, I may take my own advice and do the same thing!). Advanced registration is required by Nov. 7 and you can register in a variety of ways: By logging onto www.arlingtonchabad.org/spa; www.chabadfortworth.com or by calling 817-451-1171. The Daytimers will offer a truly interesting program on Wednesday, Nov. 9, so be sure to sign up for this one. The guest speaker will be Dr. Paul Boller, who will talk about his experiences serving as a translator for the Navy, where he was assigned to the department of psychological warfare during World War II. Boller helped prepare leaflets that were preemptively dropped on Japanese cities before they were bombed, warning citizens to evacuate. Boller is emeritus professor of history at TCU, as well as is an authority on U. S. Presidents. Among his published works are “George Washington and Religion,” “This is Our Nation” and “Not So Popular Myths about America.” In addition, he will bring copies of his books, “Presidential Anecdotes,” “Presidential Campaigns” and “Presidential Wives,” which were all Book-of-the-Month Club selections. Lunch for this month’s Daytimers event will be catered by Potbelly Sandwich Works. Guests have a choice of turkey breast, mushroom melt or tuna on Potbelly’s special “slim” buns. Lunch is $9, or guests may attend for just the program for $4 each. For reservations, call Barbara Rubin 817-927-2736 or Irv Robinson, 817-731-7447, mail checks to Beth-El Congregation, 4900 Briarhaven Rd., Fort Worth, TX 76109, or reserve for yourself at www.bethelfw.org/donations. The “Daytimers” program is sponsored by Beth-El Congregation with financial support from the Jewish Federation of Fort Worth and Tarrant County. Under the category of “you can’t be reminded too often or too much,” the Isadore Garsek Lodge of B’nai B’rith is in its last stages of editing on the local B’nai B’rith Community Directory of Tarrant County. Any changes or additions (or deletions, for that matter), need to be in to Alex Nason by Nov. 23. Contact him at 817-346-3991 or alexnason@charter.net. With our mother/mother-in-law in an advanced state of dementia, we have spent a lot of time discussing the question of quality of life. It would help us a lot to understand the Jewish value of life even when life seems not to have any further worth, importance or significance. — Eunice and Joseph J. First of all, let me extend my prayers to your family — dementia is difficult to experience in a loved one. Judaism teaches the inherent priceless value of human life no matter its present “quality.” The western culture’s concept of “quality of life” is anathema to traditional halachah, or Jewish law. For example, one is allowed and even commanded to desecrate the Sabbath (one of the greatest of all prohibitions in Jewish law) to save the life of another even if that person will never live to fulfill another Sabbath or perform any meaningful act. The priceless value of “chayei sha’ah” or even a fleeting moment of life, supersedes even the all-important mitzvah of Shabbos. Indeed, Dr. Frankl’s entire book is an amazing testimony to life’s potentially holding great meaning even in the the most horrific situations one could think of. This attests to his deep Jewish roots where, in our tradition, life is inherently priceless. Now, having said this, I will add that this is the general Jewish outlook on the meaning of life, that life is to be treasured at all costs even when, as you say, a life may not seem to have much worth or importance. But I would also suggest that, in your specific situation, you discuss this issue with your rabbi or contact an expert rabbinical authority. They can provide further clarification about the Judaic view that would make sense to your family. Got Mitzvah? Yeah we do! 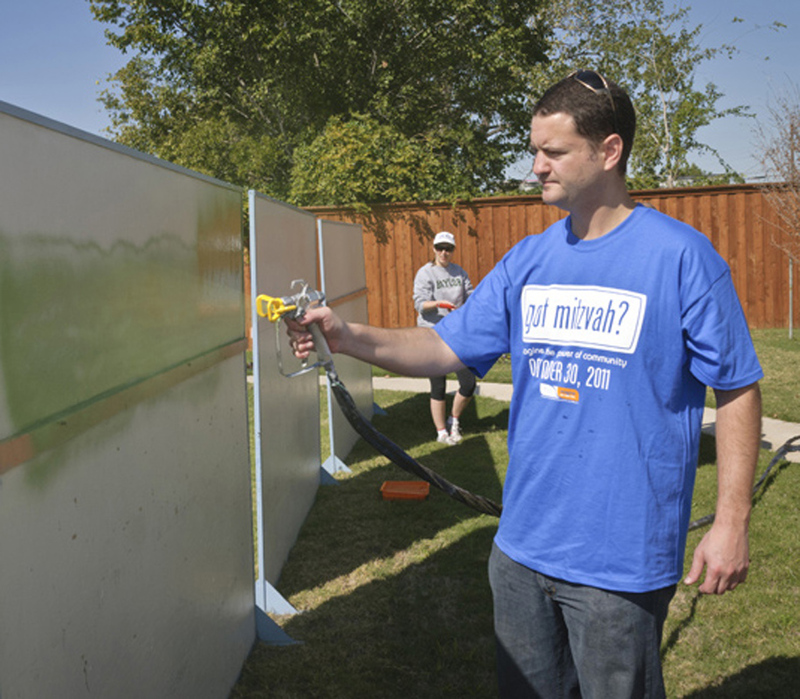 More than 2,500 volunteers of all ages participated in the Jewish Federation of Greater Dallas’ Centennial Mitzvah Day celebrating 100 years of the Federation in Dallas. Ninety-five projects and venues around the city filled rapidly as everyone worked together to lend a hand both large and small. Yasher Koach to Co-chairs Susan Bates and Cindy Moskowitz and Constellation chairs: Weezie Margolis, Jeanette Pincus, Elise Sher, Elysia Zale and Robin Zweig. The next Centennial Event, Havdallah Under the Stars, is set for Nov. 12. 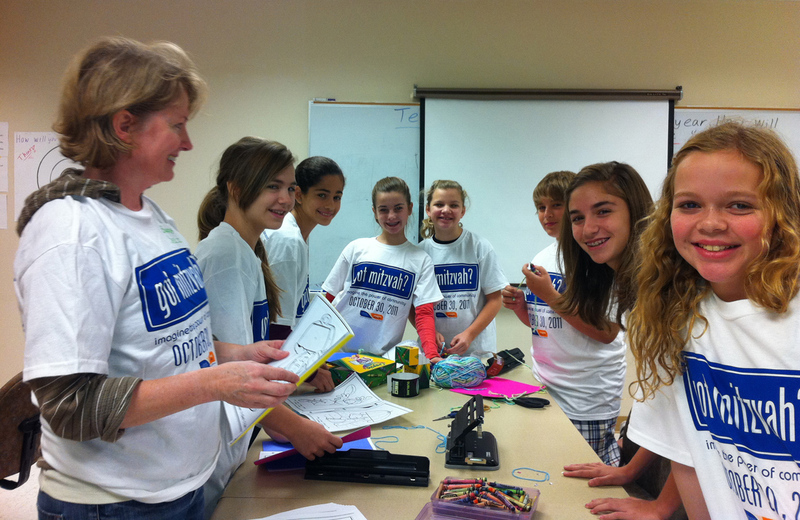 Members of ATID packaged linens for the Dallas Furniture Bank. Spokes for Folks drew a large group of volunteers. Most of these girls attend The Hockaday School and were encouraged to participate by Sara Satinsky. Positive placemats were one of three projects for Lemons to Aid. Cory Zack gets in the spirit at the Spokes for Folks venue. 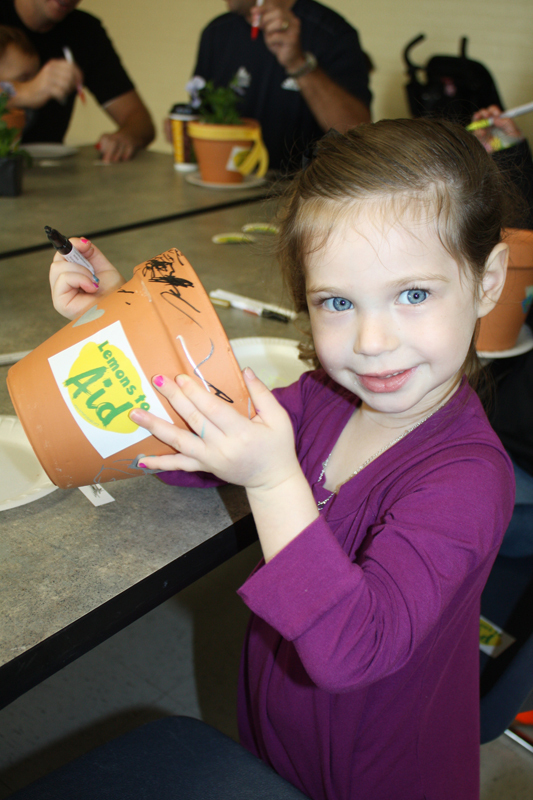 At the Lemons to Aid venue, even the youngest volunteers contributed to making potted plants that were later donated to an assisted living facility. This group of volunteers helped assemble busy books to help patients pass the time while waiting in the ER at Children’s Medical Center of Dallas.